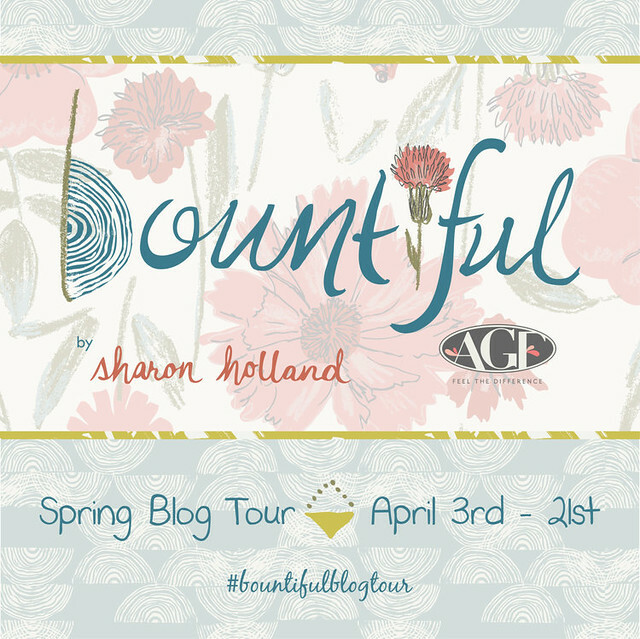 Today I’m excited to share my project for the Bountiful blog Tour! 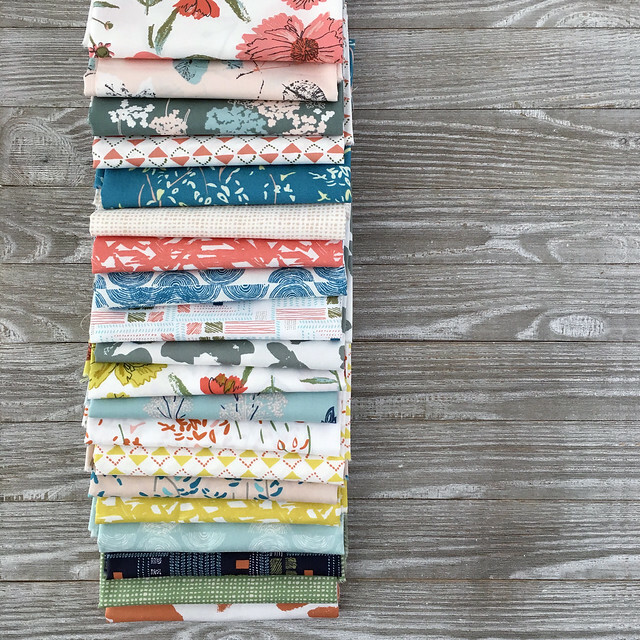 Bountiful fabrics is the newest collection by my talented friend and SBS co-host, Sharon Holland, a fellow designer for Art Gallery Fabrics. I was so thrilled when she invited me to work with these beautiful prints and colors! With the busyness of our Sewcial Bee Sampler, designing new collections, & preparing for Spring Quilt Market coming quickly next month, I knew I didn't have the time to tackle a Bountiful quilt, although I really wanted to! Instead, I decided to use this as an opportunity to work on my bag-making skills, a goal I had set for myself this year. I LOVE making bags, especially QAYG bags, but it's not easy for me as I don't enjoy following patterns. My confidence to try comes from choosing pretty fabrics from the start - I figure whatever I make is bound to be a successful finish if starts with fabrics that I really love - enter: Bountiful! First I picked a favorite print from the group, Perennial Optimism, and began quilting it up with a golden yellow 40wt Aurifil thread. 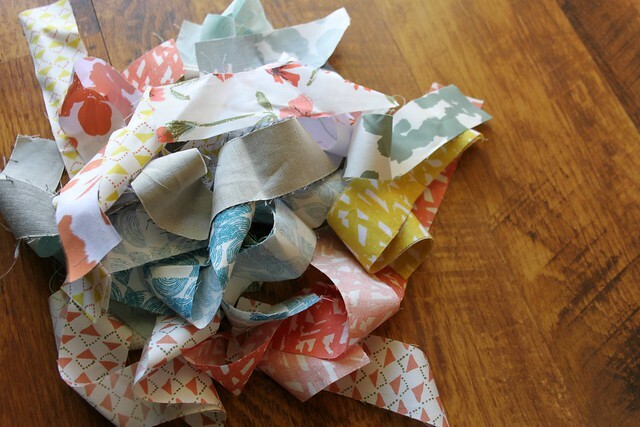 Next I began cutting colorful, narrow strips for the herringbone quick quilt-as-you-go pockets I planned to add. You know how I love my herringbone qayg! Recently, the generous folks at Dritz sent me some bag-making goodies to add to a few of the projects I'll have in my new Soulful fabrics Quilt Market booth. This was a successful first attempt at using bag hardware for me and will be such a professional looking way to add the fun tassel that Sharon plans to make using her Bountiful knits! 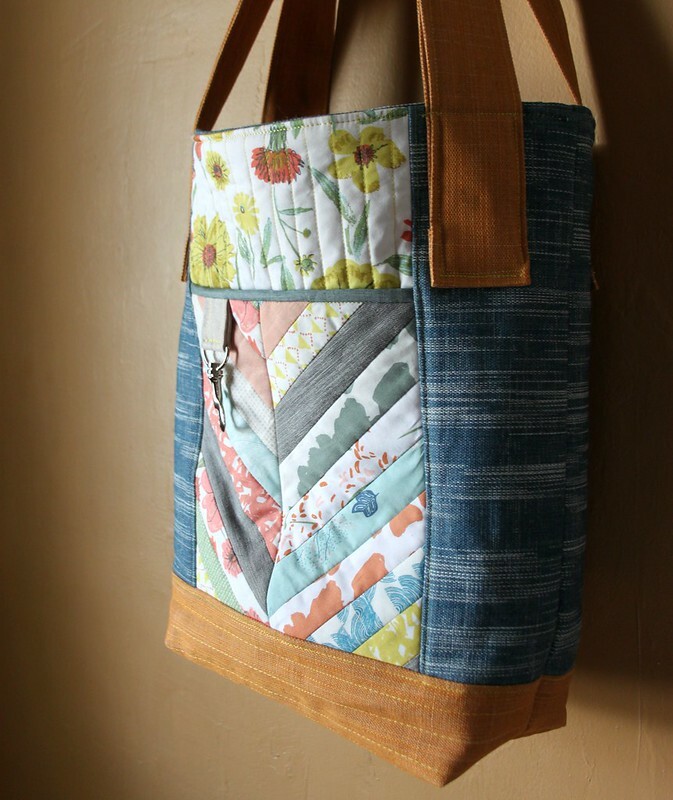 With added heavy weight AGF studio denims in Solid Textured Canyon Sunset and Crosshatch Textured in Babbling Brook, combined with quilting the Bountiful prints and patchwork to a layer of cotton batting, I love how sturdy my bag turned out without having to use any interfacing. It's soft, but is still hearty enough to use as an all-purpose bag. I really love it! You can visit Sharon's blog to find a beautiful & inspiring recap of each week of the blog tour here. 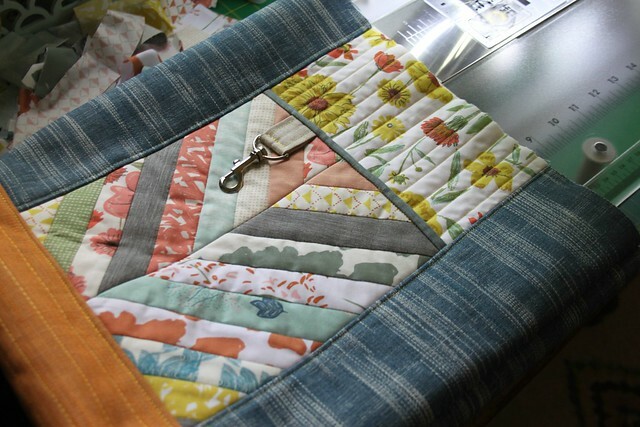 On Friday, Cindy at Live a Colorful Life shared the most stunning Bountiful quilt, and tomorrow you won't want to miss Lynn's Bountiful project at her blog The Little Red Hen! I hope you'll take the time to check out all the fabulous designers in the Bountiful blog tour line-up, it's overflowing with inspiration to get you sewing with this gorgeous collection! 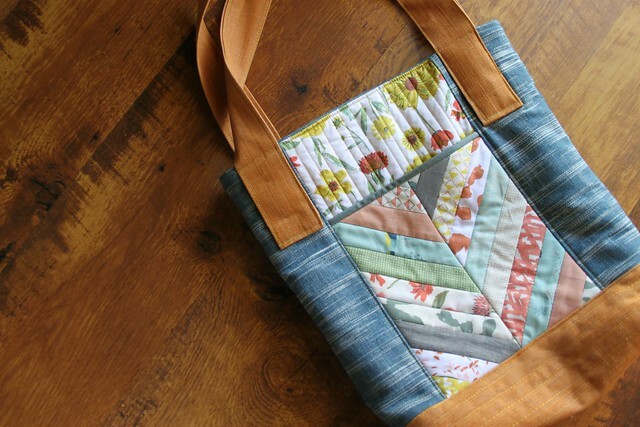 Oh my goodness, your fabric, your bag! Love love love. Love this bag! 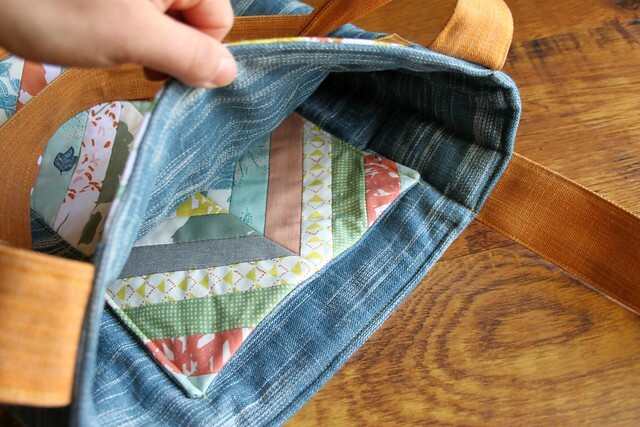 The herringbone patchwork adds such wonderful detail. 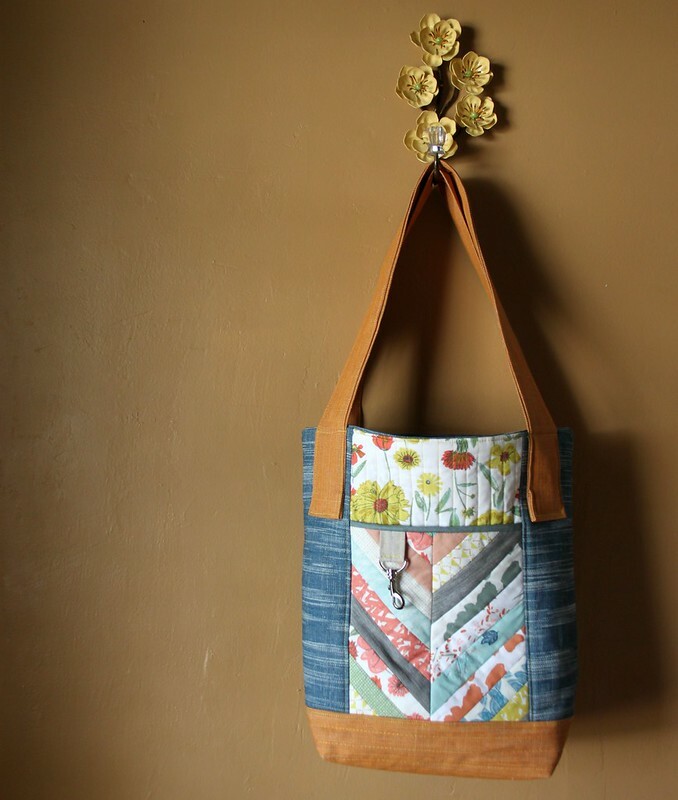 I enjoyed reading about how that beautiful line of fabrics inspired your very clever bag! 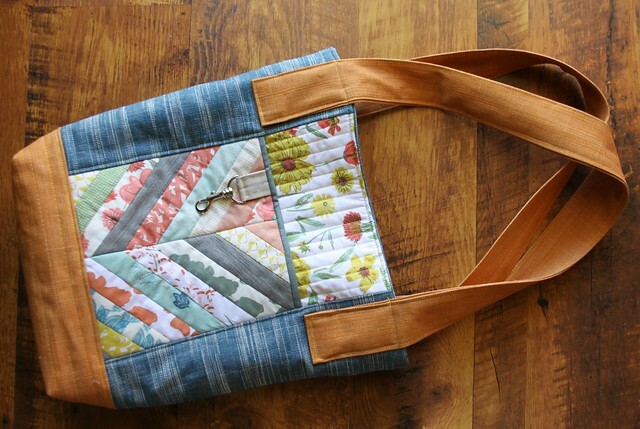 Love the bag and the fabric choices! Is there a pattern for this or will it be in the recap next week? Thanks! Maureen. 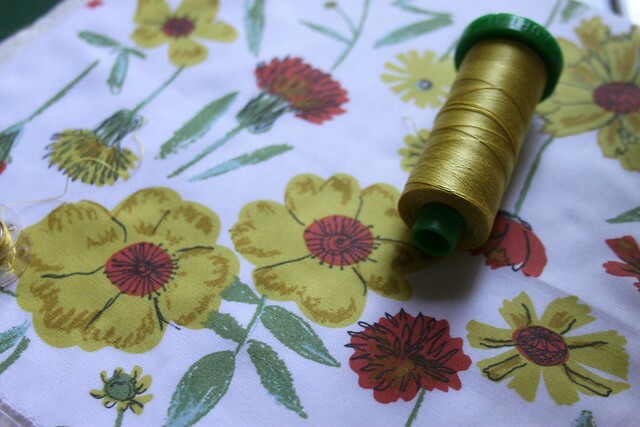 I love bag making too and have discovered I don't always need a pattern either:) Perennial Optimism is absolutely the most precious Bountiful print and I adore it. 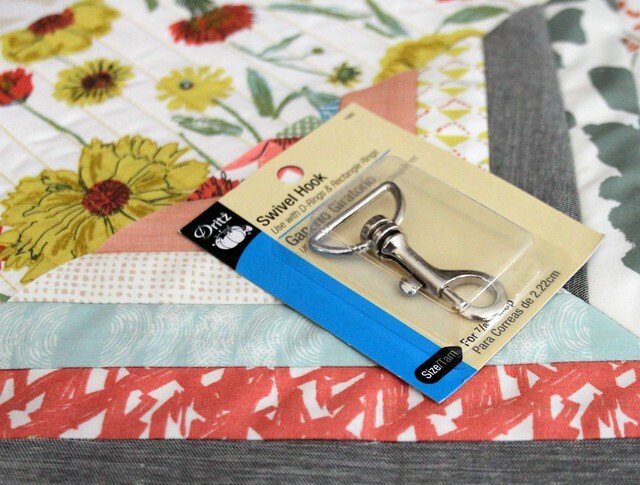 Love your Dritz swivel hook placement . Cant loose your keys now! Thankyou for sharing your beautiful creation . This is beyond gorgeous! Love it!!! !